We are reckoned as a chief Universal Radial Drilling Machine Manufacturer, Exporter and Supplier in Gujarat. 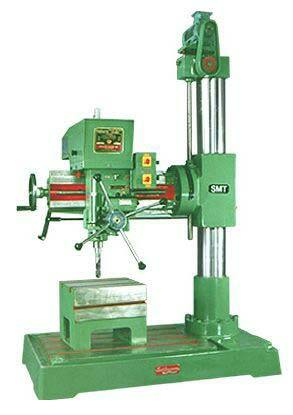 The Universal Radial Drilling Machine, we offer, is made using quality material such as C.I., M.S. Bar, etc. that makes us assure the high quality and fine functioning. The clients can avail the Universal Radial Drilling Machine from us at the market leading price.